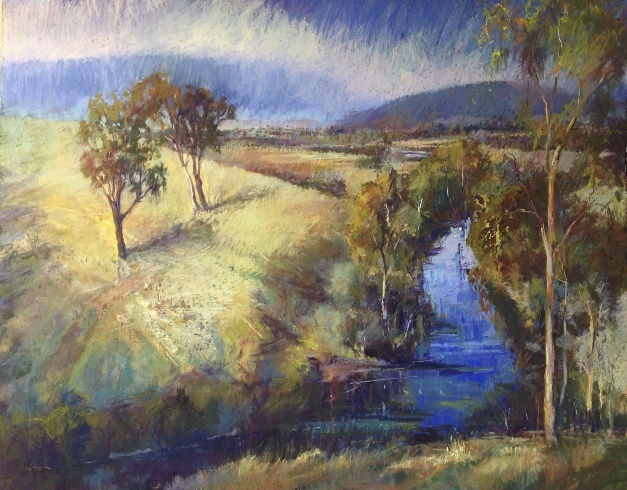 Pamela is a professional contemporary visual artist who lives and works in Victoria, Australia and paints on location in the Yarra Valley, Port Phillip Bay, rural Victoria as well as New Zealand. She loves to paint “en plein air” where possible to capture the mood and colours of the places she visits. 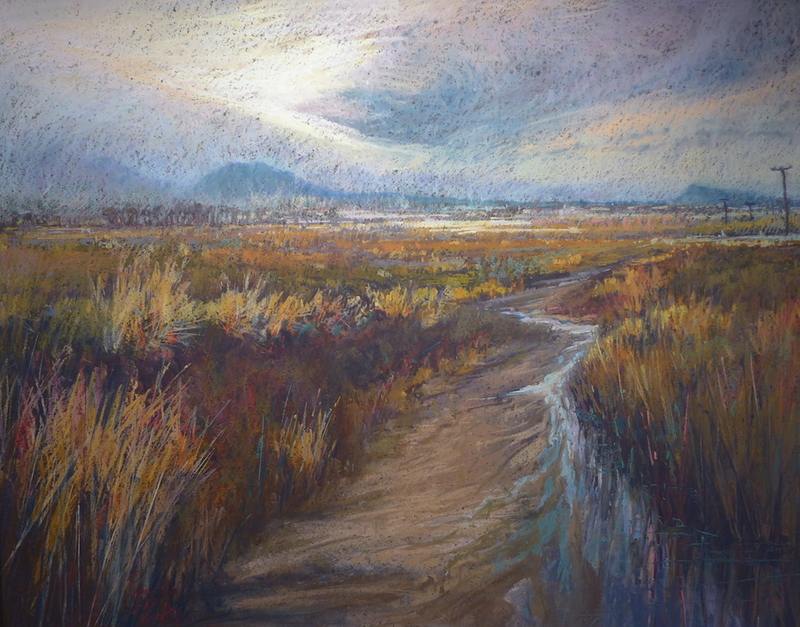 Her main media are oil and pastel and her subjects are usually landscape, seascape and dramatic skies. Pamela was appointed an Artist in Residence at St Vincents Hospital in 2011-2012 and has worked in studios in Kew, Surrey Hills and currently has a studio in Vermont where she paints and develops her art work. Teaching is also one of her passions and she teaches several classes weekly at the Box Hill Community Art Centre and other locations. She also provides demonstrations for art societies and gives professional instruction in “en plein air” Painting. 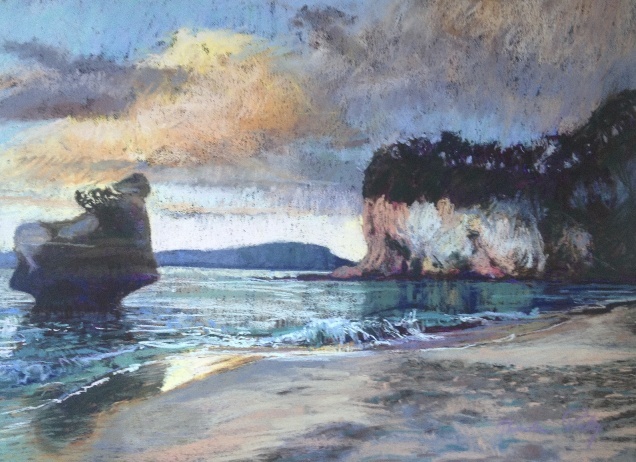 She has won numerous awards over many years including multiple Best Pastel awards, First prize MEC Award for Professional pastellists at the Pastel Society of Victoria, Australia (2010 and 2011) and Best Seascape at The Pastel Society of Victoria, Australia Exhibition in 2012. In February 2013 Pamela was awarded 2 Honourable mentions in the prestigious Pastel 100 International Pastellist Competition. 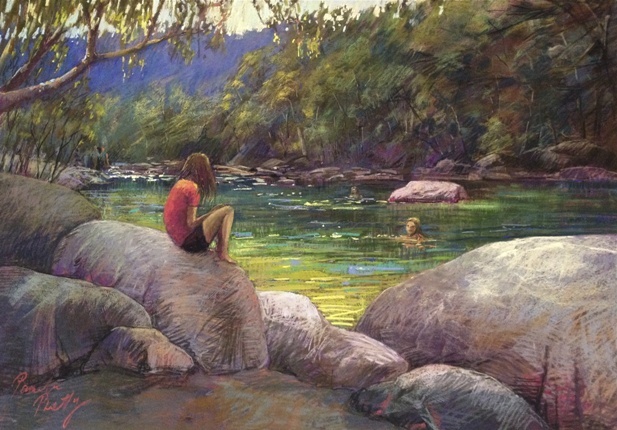 Her paintings “The Pool” and “Jan Juc” were published in the Pastel Journal in March-April 2013. She was awarded Best Painting at the AGRA Winter seasonal exhibition in July 2013 with her pastel “Silver Lining”. Her major solo exhibition in September 2011 “Unforgettable” was held at the historic Victorian Artists Society in East Melbourne and a second successful solo exhibition “Horizons” was held at the St Vincents Gallery in Fitzroy from November 2012- Feb 2013. She has also exhibited in numerous group and curated exhibitions. Pamela’s work is held in a number of private and corporate collections in Australia and overseas in the USA, England, Scotland and New Zealand.